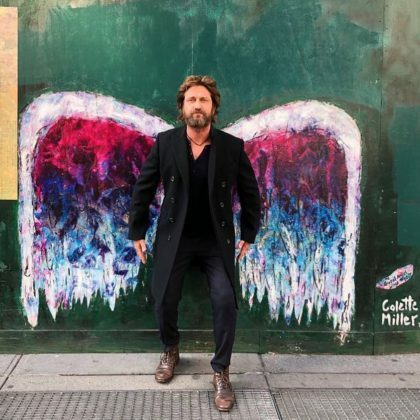 Gerard Butler may have “Just landed in New York” in October 2017, but he showed off his wings by posing with the Global Angel Wings Project at Broadway & E 19th St mural. ﻿”Opening soon: Gerry’s Deli. Just kidding. 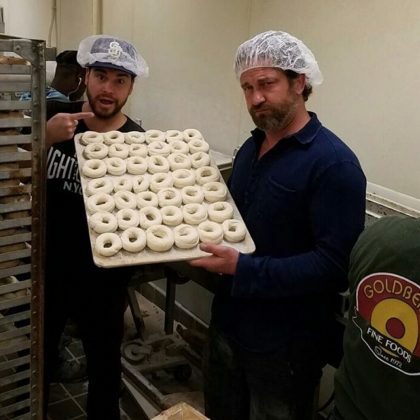 I loved these pages from Goldberg’s in Atlanta” is what ﻿Gerard Butler﻿ said after eating at one of the Goldbergs Bagel Company & Deli locations in Atlanta. 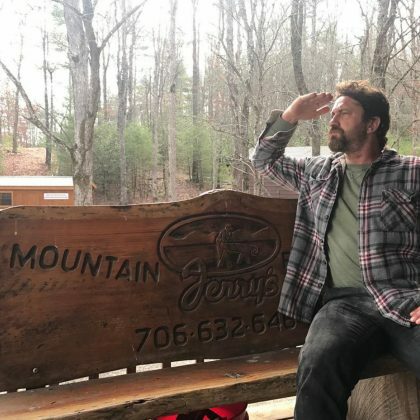 “This is my mountain. Mine! 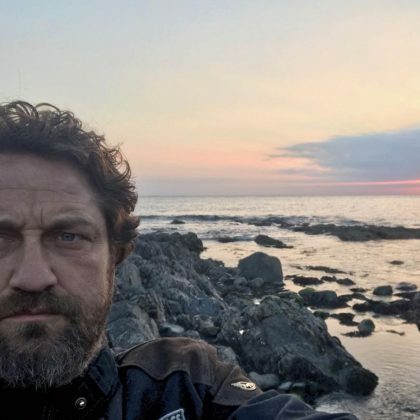 !” is what Gerard Butler jokingly said while sitting on a Jerry’s Mountain Furniture bench in February 2017.